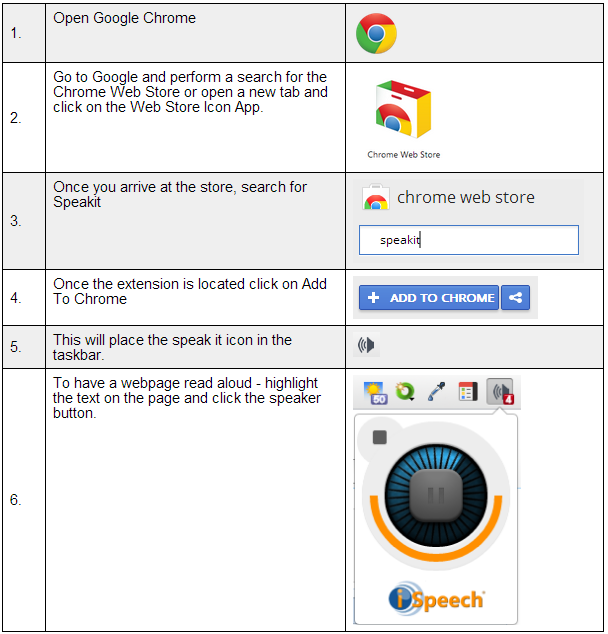 Chrome offers a text to speech feature that will read web pages aloud to students. I imagine this might prove beneficial to special education and/or world language students. In order to use this feature students will need to download and install the free Speakit extension from the Chrome web store. Once the extension is installed, a speaker icon will appear next to the address bar. Whenever a student highlights the text on a page and clicks on the speaker icon, the computer will read the digital text aloud.